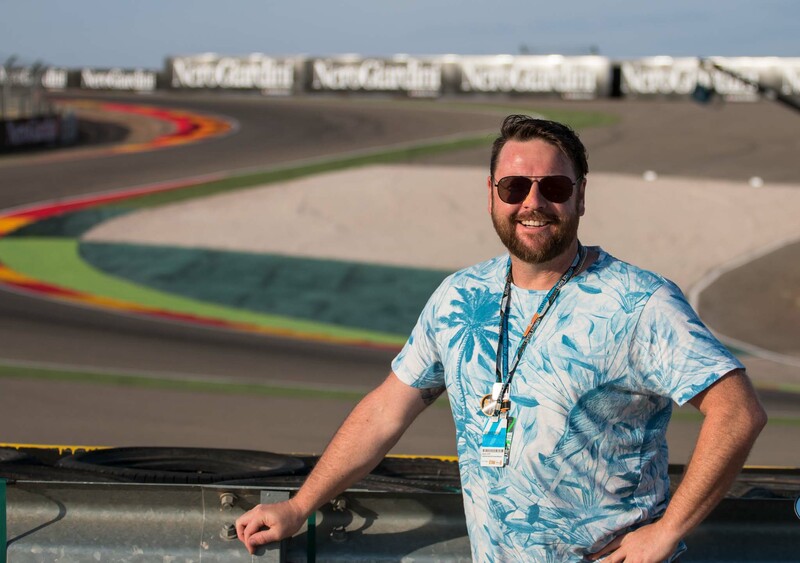 The team at Pole Position Travel are in profound grief over the loss on 12 July 2018, of the road racer James Cowton at the Southern 100 meeting. 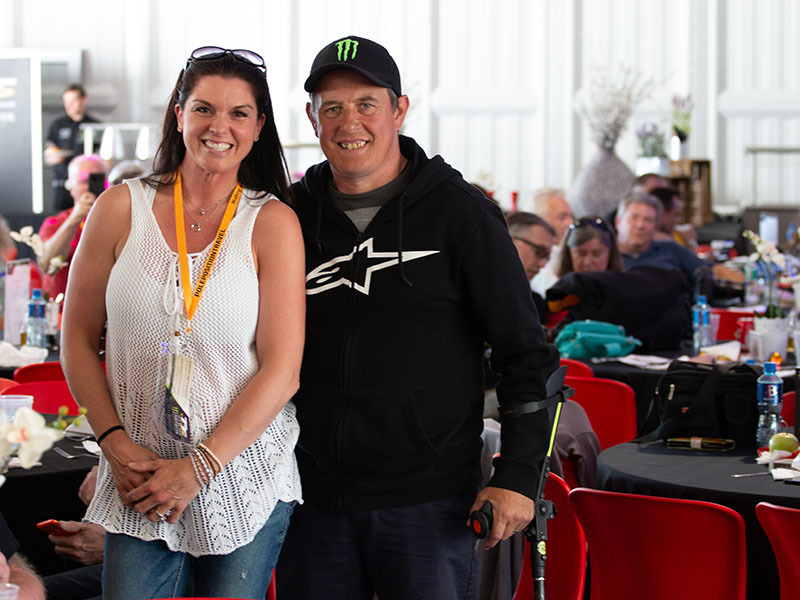 A hero on and off the track, he charmed us and our guests at the Isle of Man TT, at which we had made a commitment to sponsor him in the future. 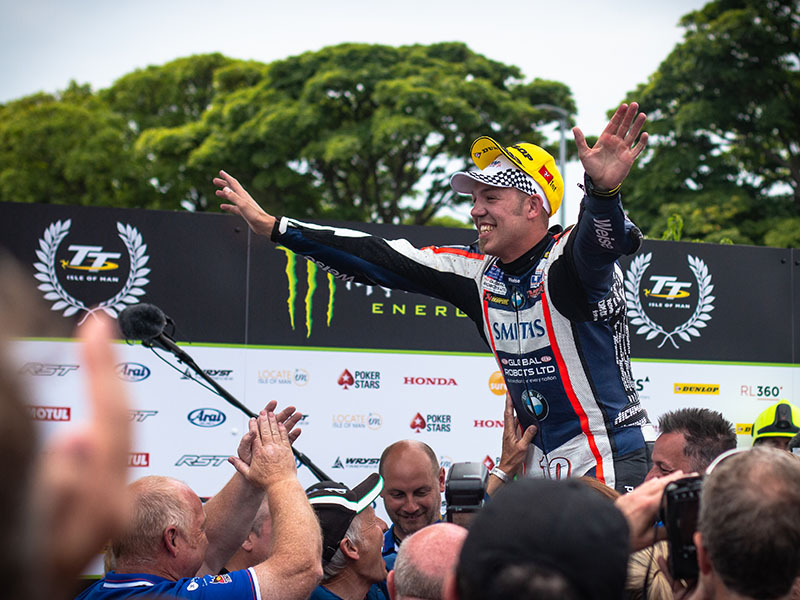 His charisma was such that all who came in contact with him instantly became fans, and to see him take 3 podiums of three races - including a win on the Superbike - at the PostTT S100, made us all swell with pride. To say he will be missed is a drastic understatement. Our hearts go out to his family and the extended Castletown racing community. 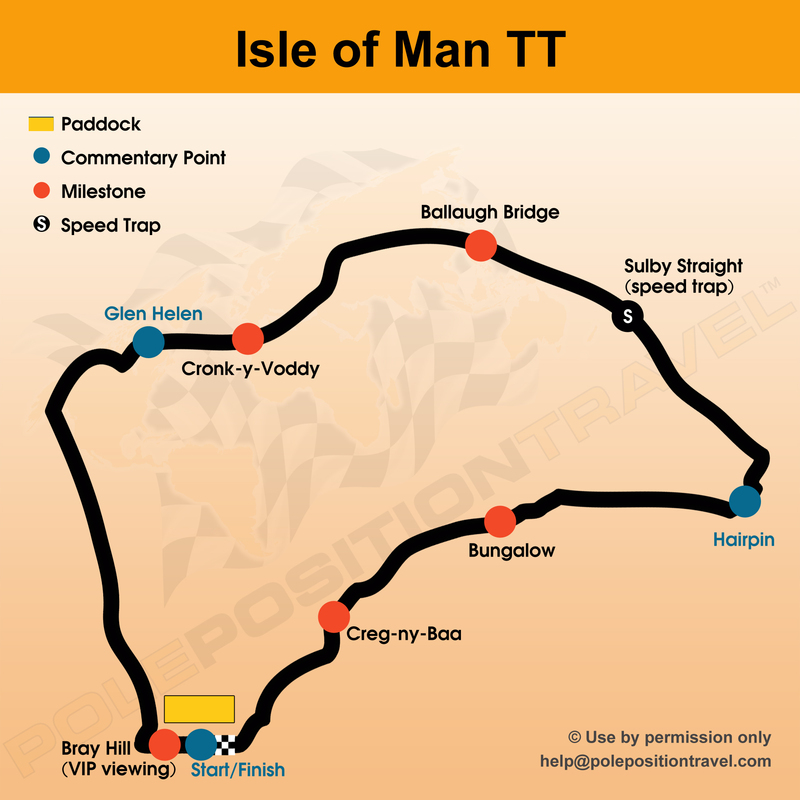 Isle of Man TT 2019 launched! 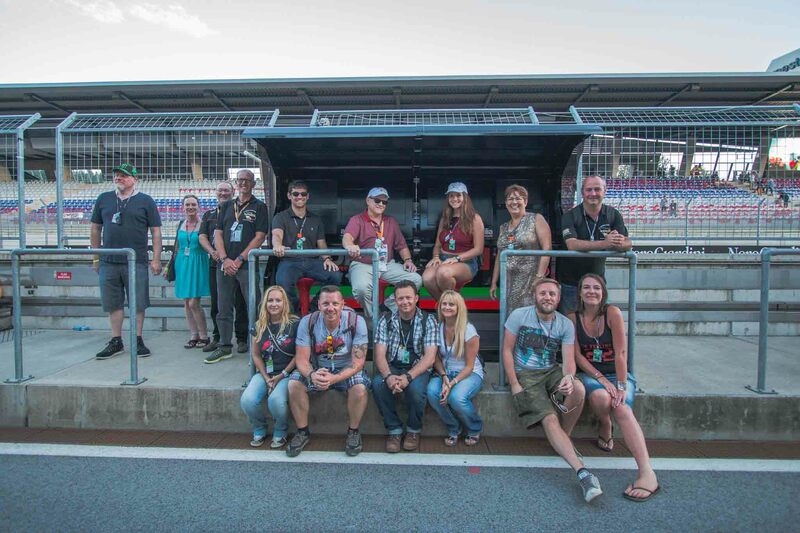 The most exciting motosports event of the year with the top VIP tour company is now live! Expanded capacity, but still very limited space - book soon! 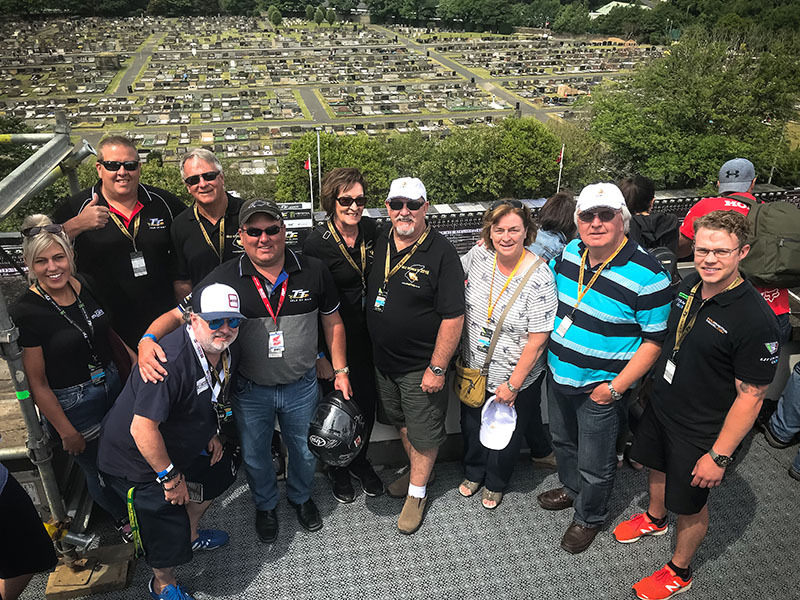 We are delighted again to offer our top VIP tours to the legendary Isle of Man TT 2019. 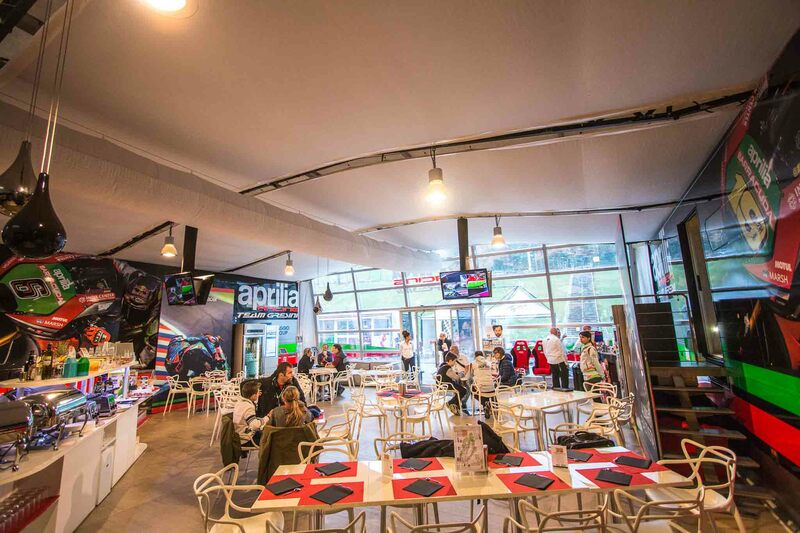 * 8 nights from Friday 31/May/19 - "Full race week"
Once again our guests will enjoy the close proximity to our sponsored riders and others; with unique insights into this most amazing of events. 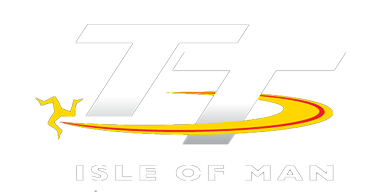 Welcome back to Isle of Man TT in 2019! 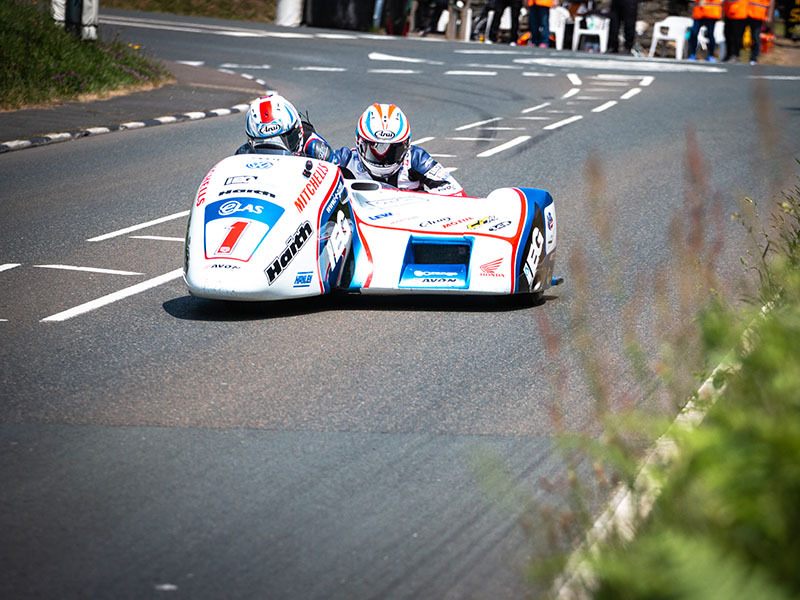 When we think about Motorcycle racing events, one stands out in a league of its own: The TT. Forget restricted track access and 100m gravel runoffs of short circuits. Here the bikes pass you at 180mph+ with nothing but a blade of grass between you and the machine. The slightest mistake on the 37.75 mile course can cost the pilot a podium - or far worse. The course runs over mountain passes, through narrow forest roads and villages. The bikes corner at speeds in excess of 100mph with nothing but a stone wall as "runoff". This is the ultimate test of man and machine. 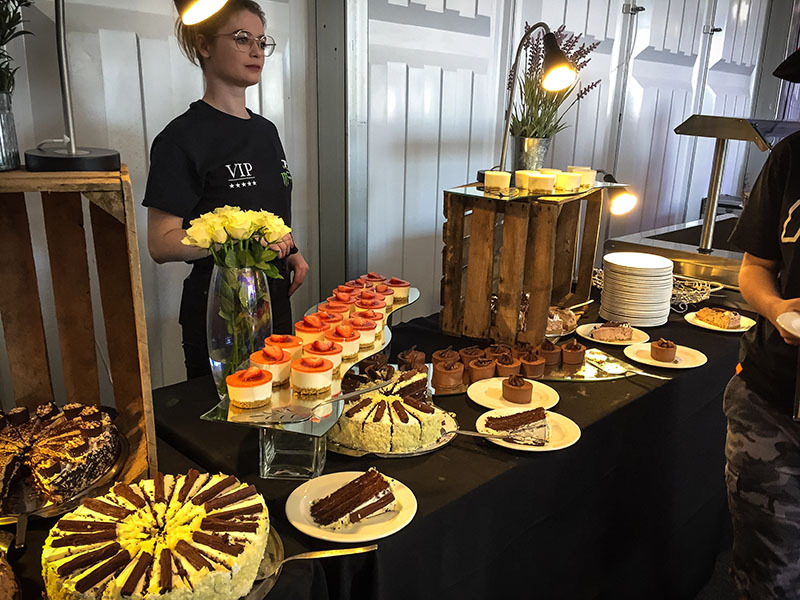 We are proud to be able to offer a VIP tour to this event that meets our quality standards and expectations of our customers. 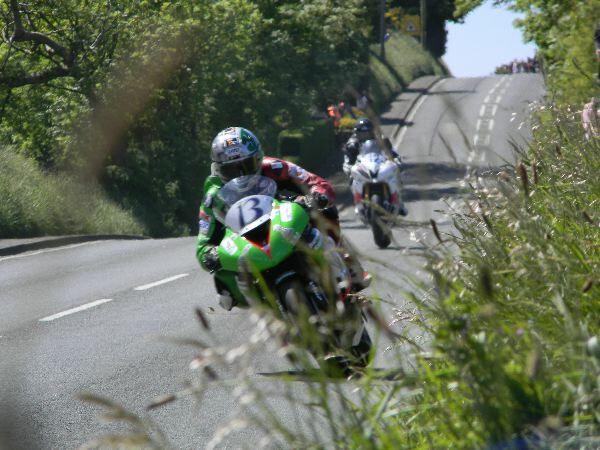 We have secured top hotel accommodation and the best hospitalities to really give you the full flavour of the TT. We have been bringing top tours here since 2012, and we have a well-honed programme. 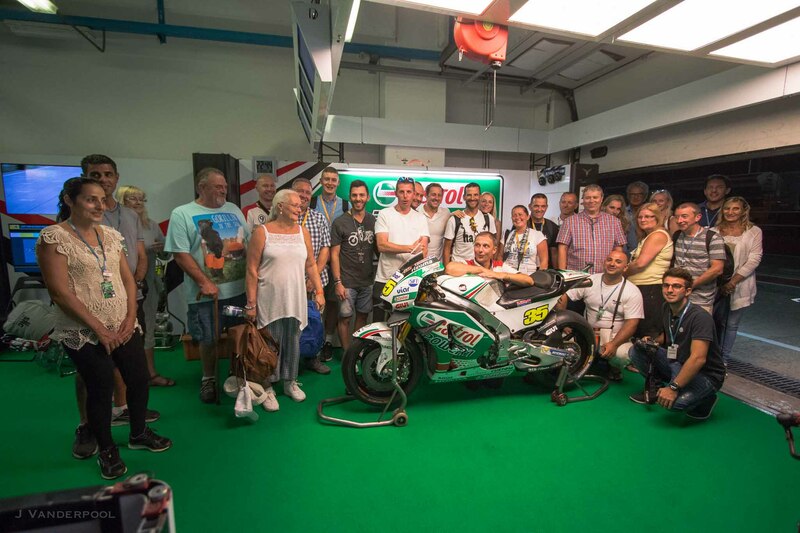 We are proud sponsors of several young riders including TT winner James Hillier; the versatile Danny Webb, and the top sidecar team Klaffi Racing - featuring the 7x world champion Tim Reeves. We have three packages here: an "essentials" package for guests happy with a more budget accommodation - saving the money for the awesome hospitality experiences we hope! 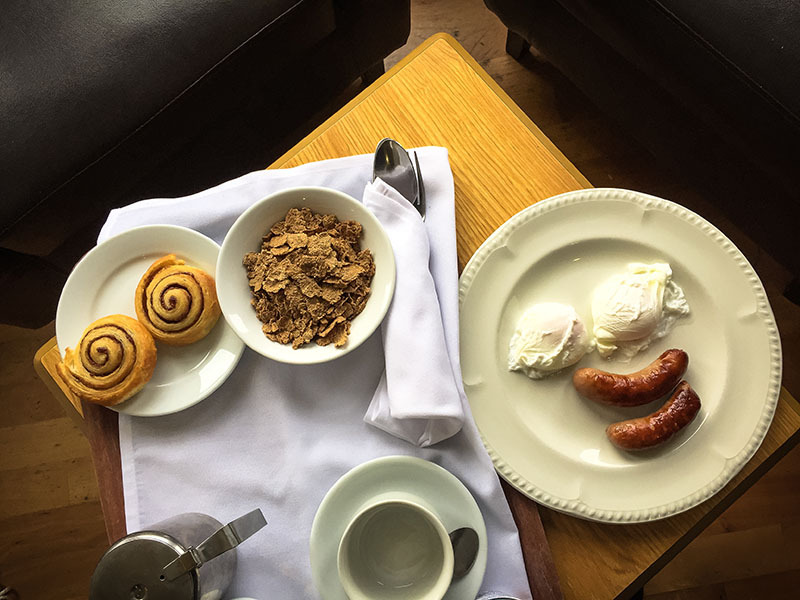 ; our traditional 'Superior' package at the Sefton Hotel, and our "Deluxe" package which simply puts together the best of the best, using the top hotel in Douglas - The Claremont. You may opt for the full 8 nights of Race Week, or just take in the final four nights. We also offer a super 4 nights 'Mad Sunday' package taking in the initial two race days and of course Mad Sunday! You get the full flavour of the TT and it is cheaper than the 4 night Race Week. Ordinary viewing of the racing alongside many parts of the course is completely free, however there are many opportunities for much enhanced experiences. We have lined up a full set of options to give you the taste of the TT from everything from the Hedgerows to the top VIP! THE highlight product is the Sr Race day Platinum VIP which features just about anything the organisers can think of and most of all a lap in the Course Car on the closed roads! This is simply an indescribable experience! Fasten your seat belt! 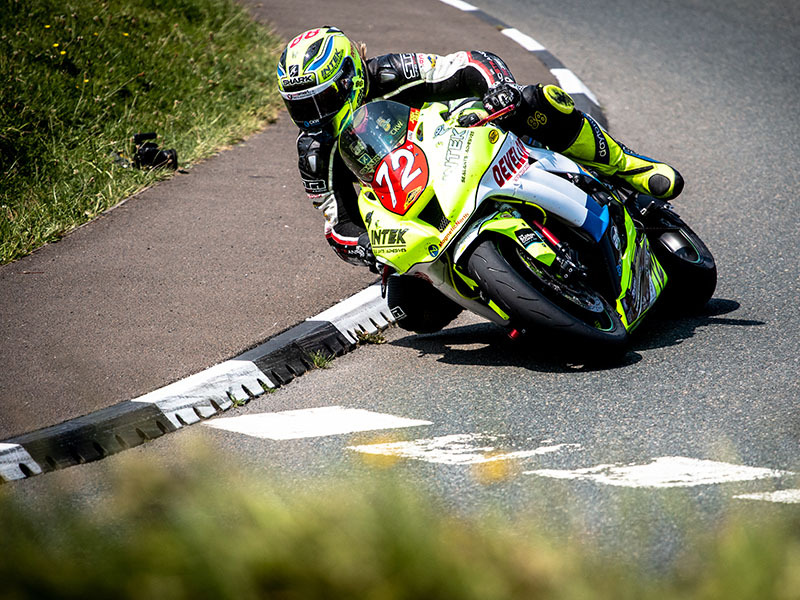 Finally we highly recommend sticking around for the Saturday after the TT for the superb and laid-back Post-TT races at the Southern 100 circuit in Castletown. 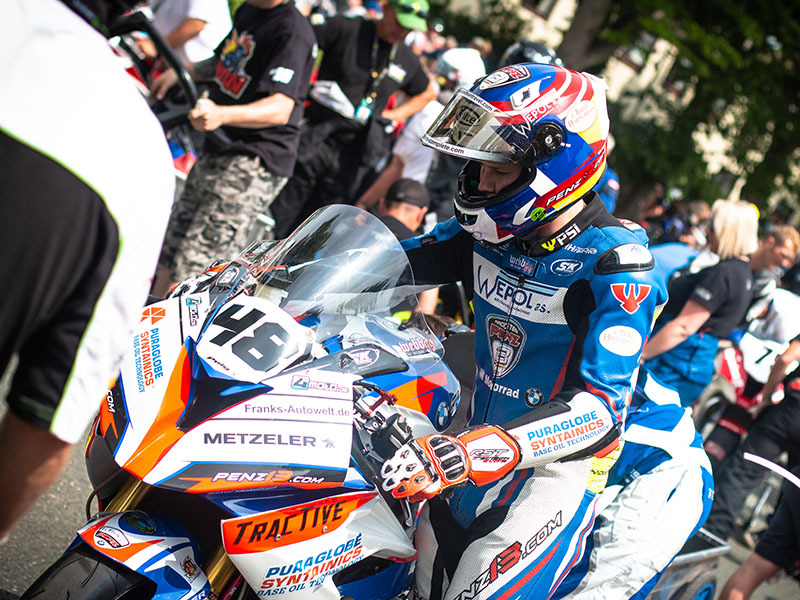 If you have the TT on your "bucket list" but were put off by all the organisation involved, now is the time -- just get yourself to the Isle of Man (we can help here as well) and we will take care of everything for you! 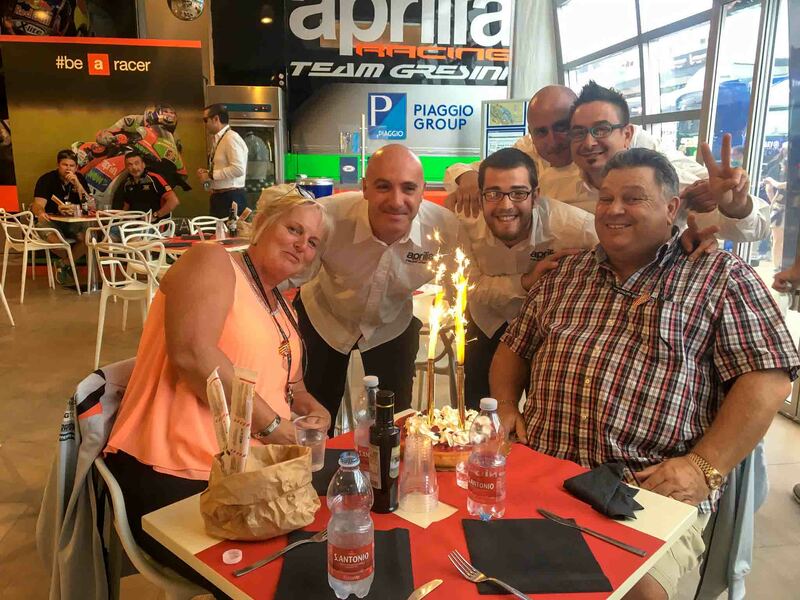 Pole Position Travel has built up a strong portfolio of sponsored and partner teams and riders across all the series' we operate. 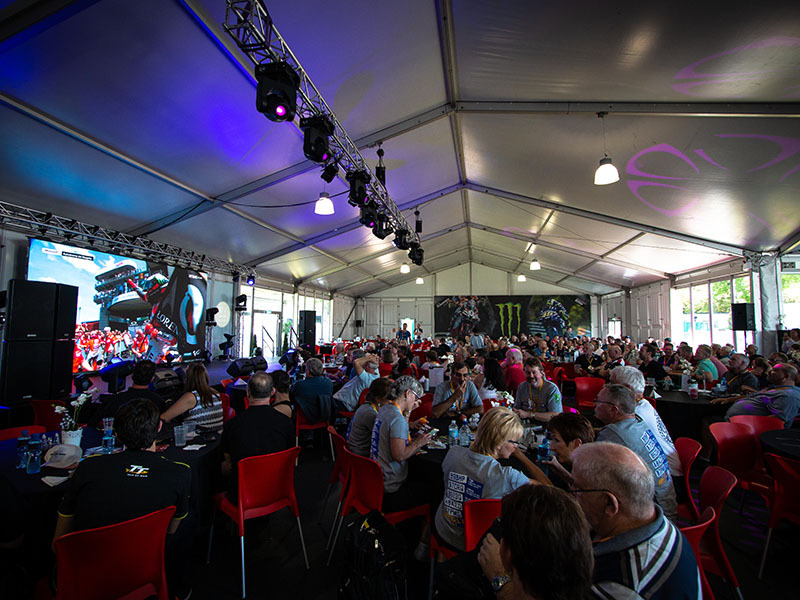 Through these associations, we are able to put together unique and exciting paddock experiences at events world wide. 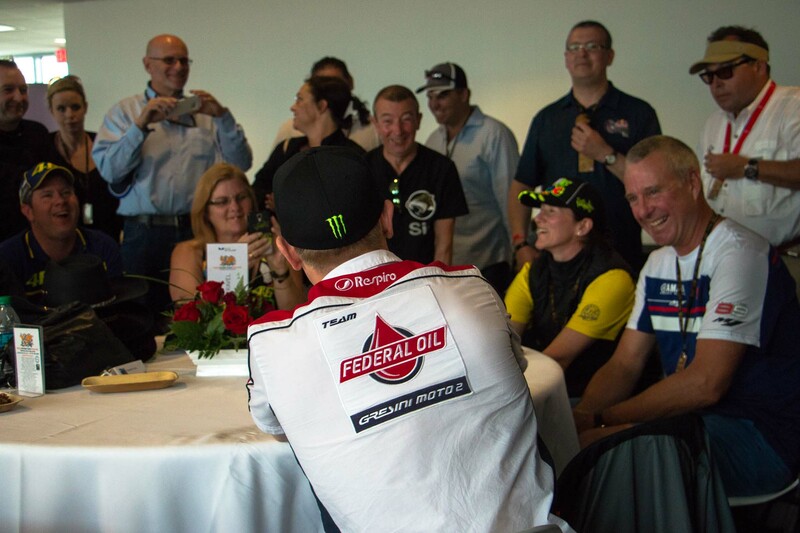 This makes us unique - we don't just sell the sport, we are part of it! 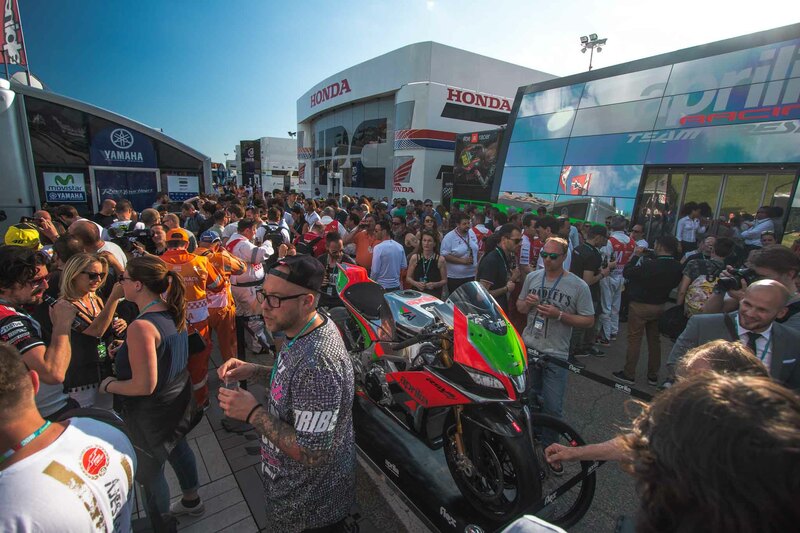 We are proud of "our riders" and when one of them takes a podium, we are just as excited as our customers standing next to us at parc fermé! 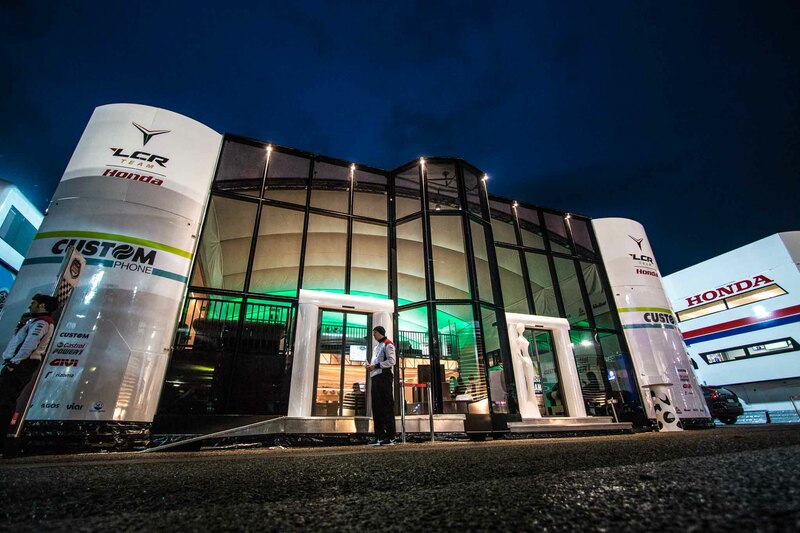 We are the world leading MotoGP, WorldSBK, and Isle of Man TT & Road Racing event and travel specialists. 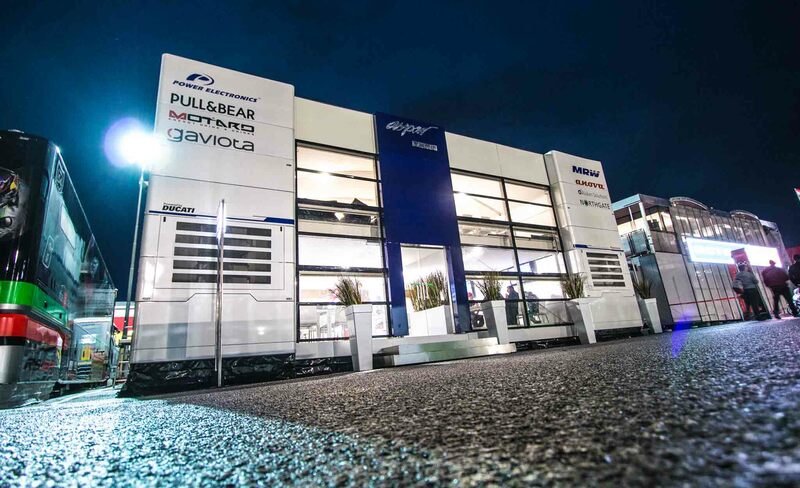 We are official agencies for MotoGP VIP Village, World Superbike VIP Hospitality, and international Isle of Man TT travel partner. 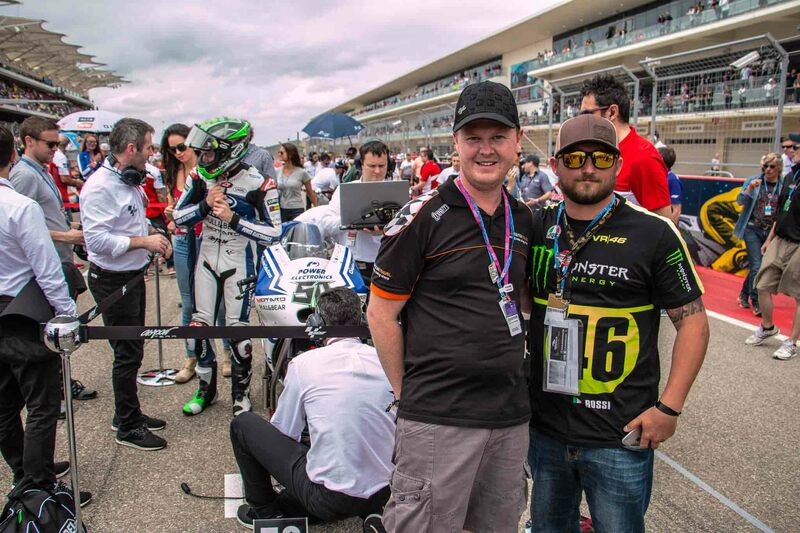 We sponsor over 10 riders across these tournaments, and are official partners with 4 MotoGP Teams, several in Moto2/Moto3, the World Champions Kawasaki in SBK and championship side car team Klaffi Sidecars in the Isle of Man. We give back heavily to the sport we love - in 2016 our combined sponsorship bill exceeded €500,000! 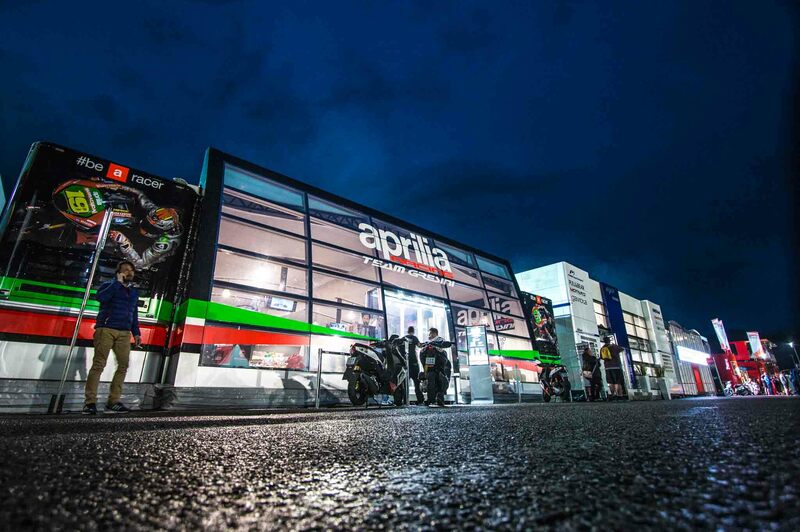 We ran our first MotoGP tour in 2002 (incorporated in 2005) and have been growing steadily ever since. 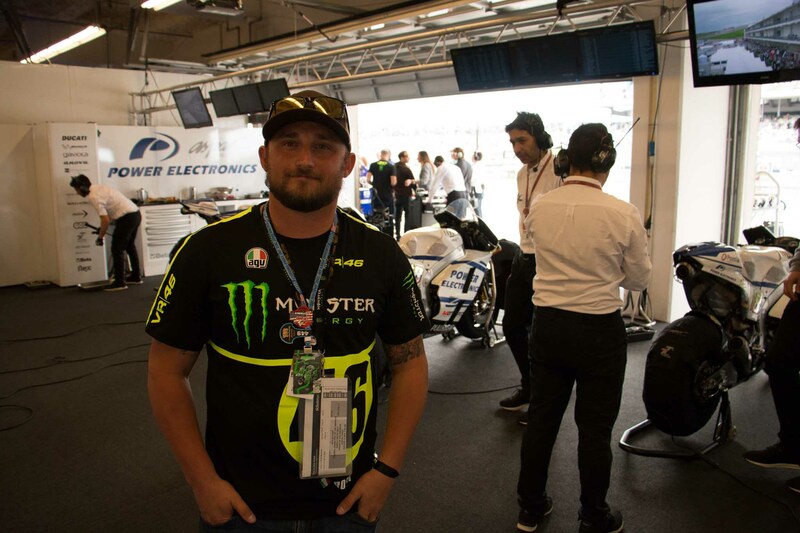 We provide services to ALL MotoGP and WorldSBK events, and we are expanding in Road Racing, currently servicing the Isle of Man TT, the Isle of Man Classic TT and launching Macau Grand Prix in 2017. 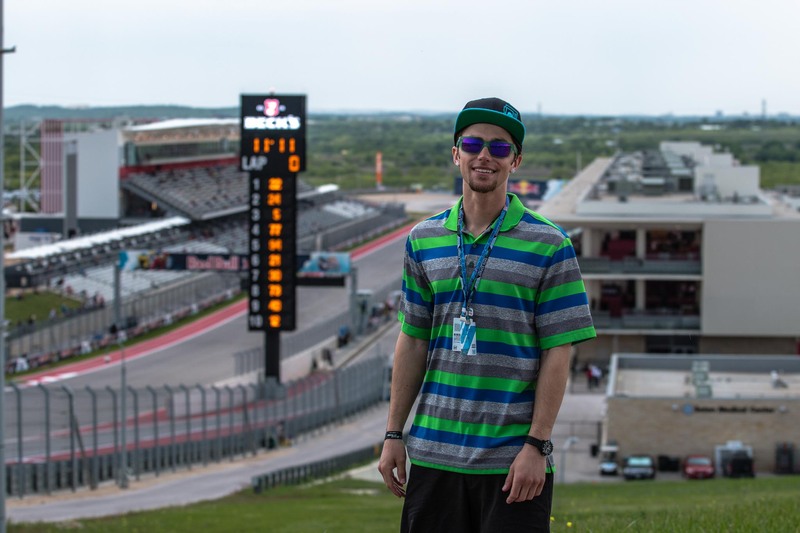 When you book with us, you are not just buying a ticket, hotel room, or other commodity -- you are engaging a team with professional guides, deep experience, widespread contact and passion for the sport! All designed to bring you the best experience this sport has to offer. We are very international in scope, with customers from across the globe and guides speaking speaking English, Czech, Italian, Spanish, French, German and Russian. (Tours are conducted primarily in English) Most of the hundreds of testimonials we have received specifically cite our guides and how much they contributed to the enjoyment, with phrases like "best weekend of my life" and "unforgettable experience" being repeated frequently. Service - We provide extensive pre- and post-sales assistance to help your planning. Travel advice, recommendations for longer stays, best value for money options, best options for families -- our helpful team is happy to answer any question! Flexibility - With us it isn't "this hotel and that ticket". All itineraries are flexible - you can mix and match packages with many ticket options; and we can provide any additional services required such as airport collections, group meals, visa assistance and more. Guides - We are proud of our staff on the ground at the events. We operate a low guide:client ratio (we believe to be the best in the industry) and you have 24 hour access as well as a helpline and detailed programmes and contact information while on your tour. 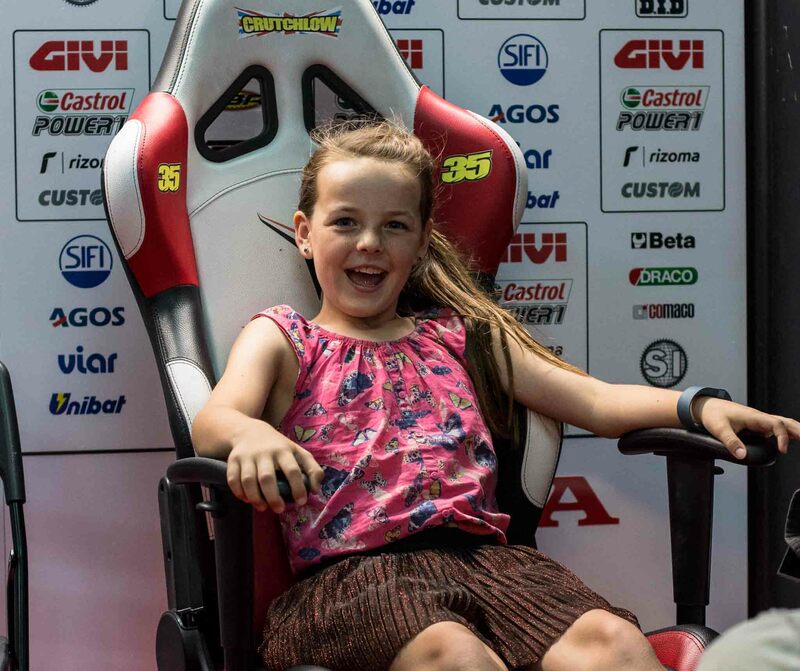 Unique MotoGP Team Experiences - To really experience the sport from the 'inside', we offer "Team Experiences" where you can spend a day or weekend as a guest of one of our partner teams and share in their excitement as well as see the facilities, enjoy the hospitality and at premium levels even visit the track, the podium and the start grid! Prices - We routinely check competitors' prices to ensure we are in line. If you find we are slightly more expensive - for example VIP - bear in mind that we have staff on the ground at all times to help you, and provide extensive support. Well worth the very small difference! International - We have offices in Prague, Barcelona and UK. We can quote and accept payments in EUR, GBP, AUD, USD, and CZK. We accept Visa/Mastercards, PayPal, Bank transfers and American Express. Security - Fully bonded and insured for your peace of mind. If you are not confident with our online quotation/booking system, feel free to give us a call. Use one of the phone numbers on the right hand side, or you can also use our enquiry form by clicking on the link below. Please provide us with as much information as possible, this will help us to serve you more accurately and efficiently, and build the best possible experience for you! Services provided by Pole Position Travel, a trading name of Pole Position Travel SE, a European joint-stock company seated in Prague with offices in UK and Czech Republic. 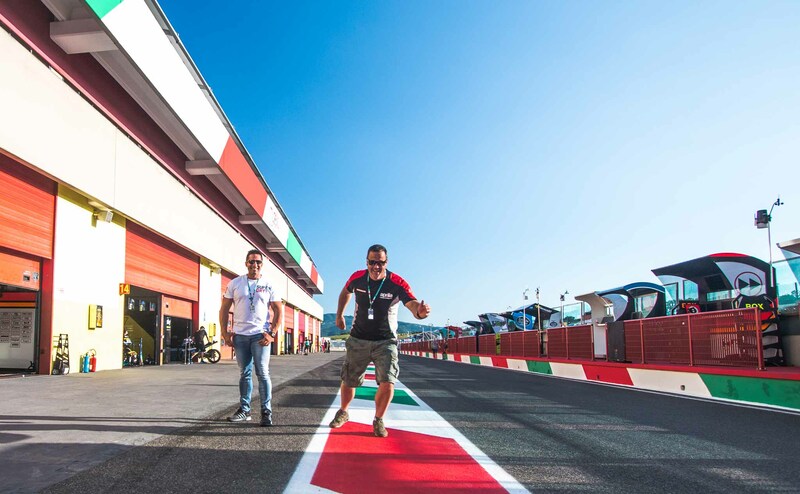 Except where appointed official agents, we are not affiliated with either the organisers of the MotoGP tournament nor the circuits involved. Prices and other statements in this web site are as accurate as possible, however no statement is binding until a formal offer has been communicated via our agents or on-line booking.